Reedy River Presbyterian Church – An historic Reformed church committed to the historic Biblical faith. Join us as we celebrate the Lord’s Supper each week. There is no evening service on the first Sunday of each Month. Join us for a hospitality meal after the morning worship service on the first Sunday of every month. We welcome you to join is this Sunday! We are made up of faithful generations of families, of newcomers, visitors and friends. The Lord has been pleased to bless us for 130 years, and we invite you to join with us as we continue the journey together! Our congregation was established by God’s grace in 1887, and the sanctuary was built in 1889. Because of our desire to be faithful to historic Protestant/Reformed orthodoxy we are part of the South Atlantic Presbytery of the Bible Presbyterian Church, General Synod. A native of Columbia, SC, Charles Roberts has served in full time pastoral ministry for over 20 years. 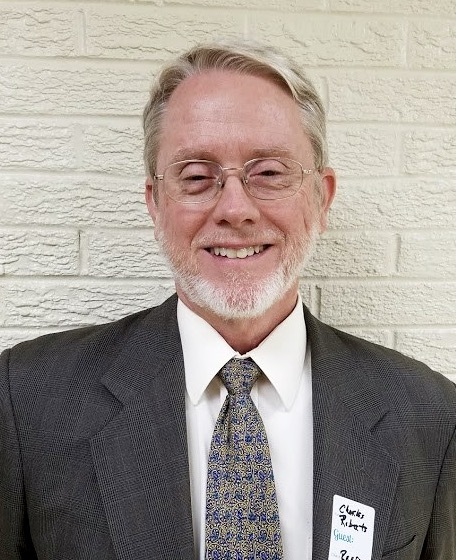 He served as pastor of Associate Reformed Presbyterian churches in South Carolina, New York, and Arizona prior to becoming pastor of Reedy River Presbyterian church. He has been married to Michelle for over 30 years and they have two daughters. An emphasis on the all encompassing, full orbed nature of Biblical religion is the theme of Dr Roberts’ teaching and pastoral ministry. Join us after worship the first Sunday of each month for a great time of good food and fellowship!